The BB abbreviation can stand for ‘Blemish Balm’ or ‘Beauty Balm’ and is in essence an all in one product that combines skin care, coverage and hydration whilst still providing a flawless yet natural finish making it a multi-tasking product. So…where did it come from? The specific origin of the BB Cream is widely debated, but it is generally agreed that Korea drove the global popularity for the product. Currently BB Creams are enjoying phenomenal success in Asian countries such as Korea, China, Japan and South East Asia. So…where did the formula originate? 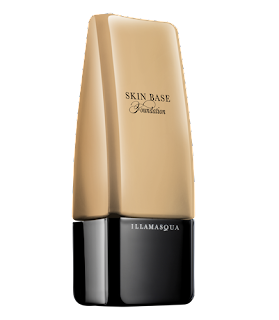 Developed by dermatologists [to help laser surgery patients with highly sensitised skin to banish redness and scarring whilst protecting and smoothing and providing a high level of SPF] the formula has been analysed by our team of Product experts and professional artists to adapt the formulation to introduce it to the UK market. So…how does Illamasqua’s Skin Base differ from a BB Cream? The Product Development team were inspired by the formula, delighted by the results and highly impressed by the ease of buildable coverage and payoff, however they chose to remove the SPF because we believe that everyone should have the choice to add their personal preference level and choice of product for SPF and as within a professional environment the SPF can be inconsistent and bounces light. The second adaption was the removal of the whitening ingredients of the traditional BB Creams. As many Asian women strive to whiten and brighten skin , we wanted to develop a range of shades that would offer suitability to the palest to the deepest of skin tones and wider shade participation, thereby offering a truly diverse and professional range. The whitening ingredients hindered payoff on deeper skin tones and turned ashen thus causing unrequired limitations.